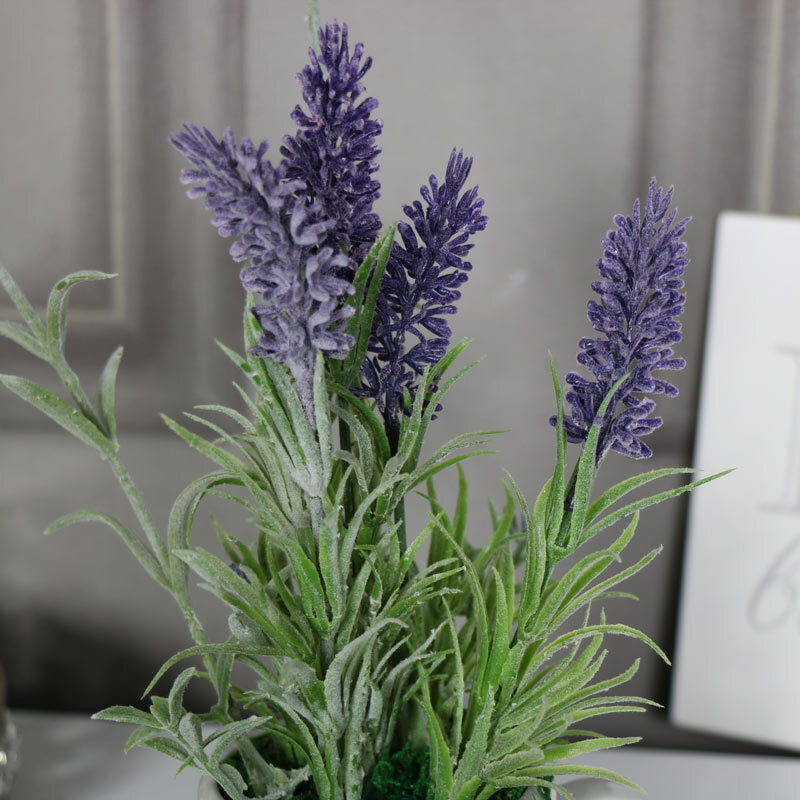 This pretty lavender flower arrangement will add a wonderfully vintage country look to a room. A pretty arrangement of purple lavender sat in a little white ceramic teapot. A great way to add a greenfingered touch to a room with the mess or the maintenance. This rose arrangement looks incredibly realistic and would look perfect sat on a shelf or in a windowsill. Perfect for using as an alternative wedding centrepiece of roses or a great gift idea for friends or family and special occasions such as Mother's Day. 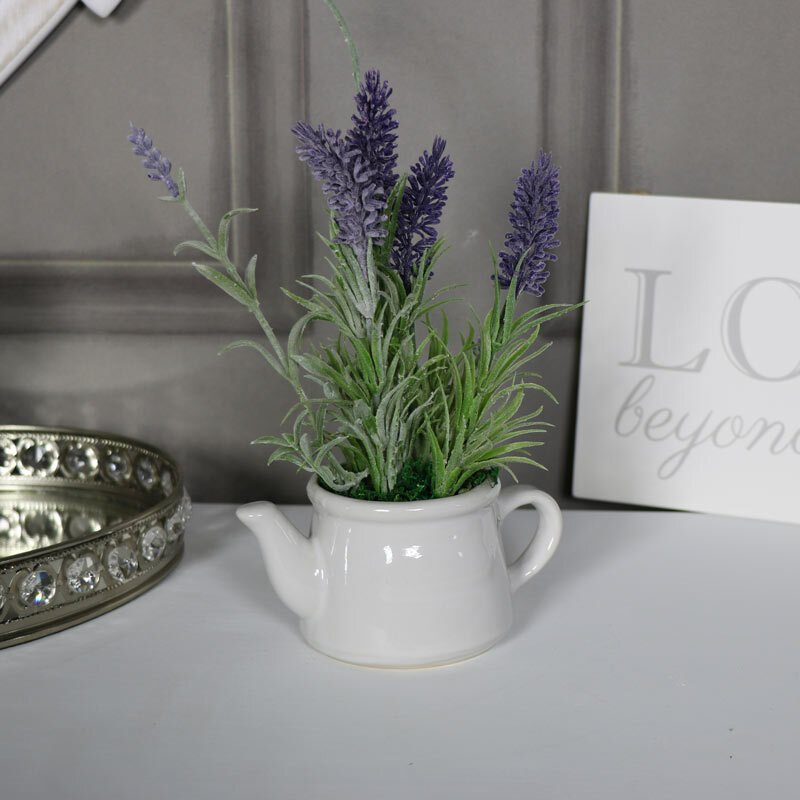 This pretty lavender flower arrangement will add a wonderfully vintage country look to a room. A pretty arrangement of purple lavender sat in a little white ceramic teapot. A great way to add a greenfingered touch to a room with the mess or the maintenance. This rose arrangement looks incredibly realistic and would look perfect sat on a shelf or in a windowsill. Perfect for using as an alternative wedding centrepiece of roses or a great gift idea for friends or family and special occasions such as Mother's Day. 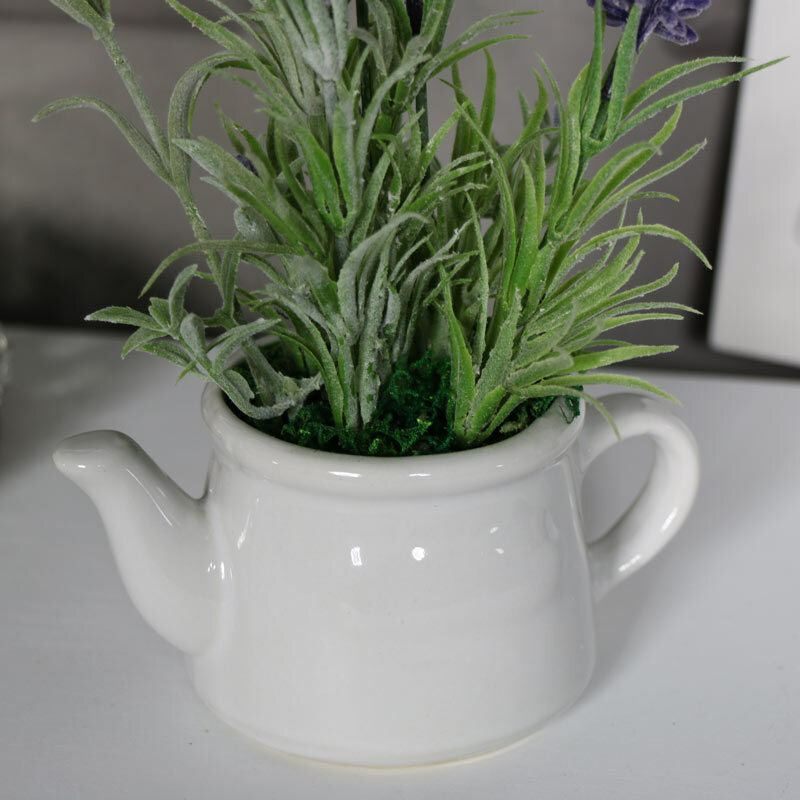 Faux lavender made from plastic in a very realistic look that will add some colour to a room, safely ensconced in a little white ceramic teapot. We have a beautiful selection of artificial flower arrangements and decorations that will brighten your home and add that finishing touch.